I’m in the midst of a January let-down. Like many people, I feel this way after the excitement and joy of the holidays. I wait all year for September to arrive, and my heart dances a little jig when the weather turns crisp and the celebrations roll through Halloween, Thanksgiving, Christmas, my birthday, and the New Year. In some ways, January is a relief…a time to relax and recharge. However, this year started with a sinus infection. Plus, the Kansas weather can’t decide what season is the current one. We’ve had a couple of days with snow, but we’ve also had temperatures reach the 60s. This weekend, we were all prepared for a dangerous ice storm, and while there were a few incidents of ice around, the ice apocalypse transformed into a dreary, foggy, chilly, rainy day. My go-to comfort drink when I want something warm is a nice cup of hot tea. But on days like today, the warming drink has to be hot cocoa. 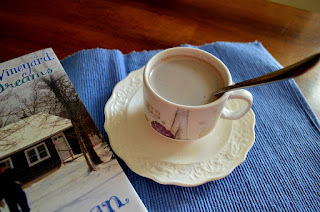 I saw this Alton Brown recipe online and was attracted by the idea of having a hot cocoa mix ready to go without all of the chemicals found in the store-bought mixes. 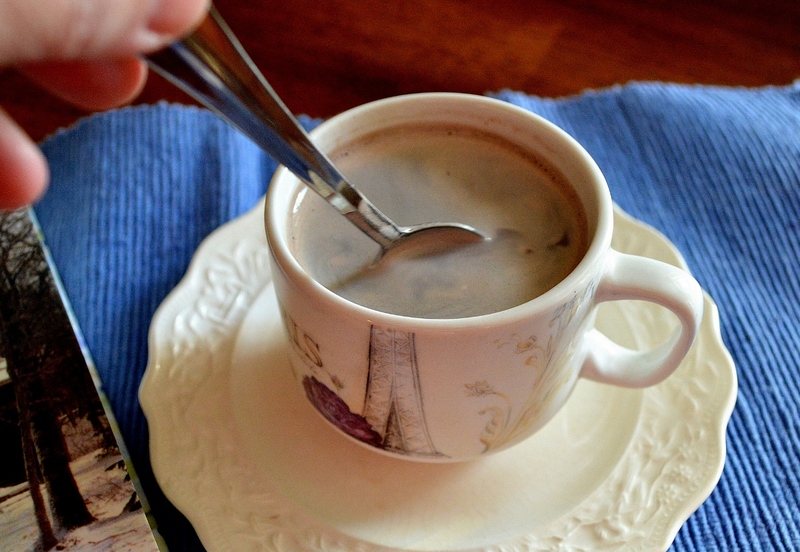 This mix makes a heavenly cup of cocoa. Along with an engrossing book, it will help drive away the winter doldrums. I cut the original recipe in half so it would fit in a quart-sized canning jar. The recipe calls for Dutch-processed cocoa powder. Regular will work, too, but it won’t be as chocolaty tasting. I used Hershey’s Special Dark cocoa powder, which is a mix of both types. You can use water to mix up a cup, but I prefer milk warmed in the microwave. 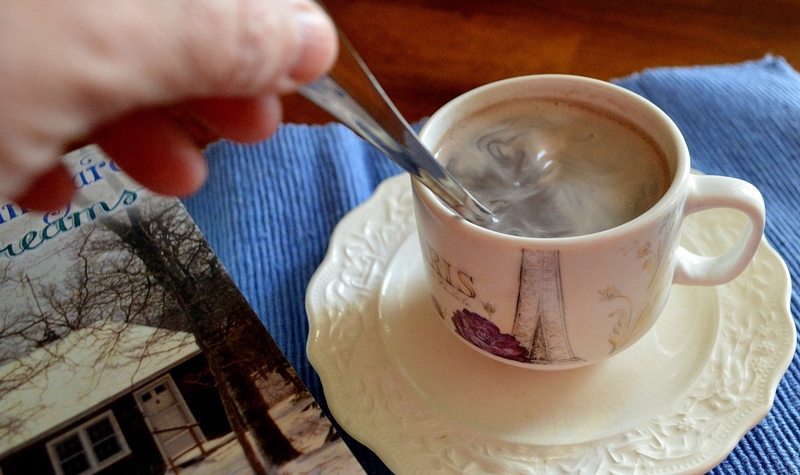 To make a cup: It takes 2 tablespoons of hot cocoa mix for every 6 ounces of liquid. While the milk or water heats, add 2 tablespoons of the mix to a mug. Pour in half of the heated liquid and stir until the mix is dissolved. Add the remaining liquid, stir, and enjoy! Hi Linda, I just had my morning cup of hot chocolate, from a mix of course. Growing up my mom always made her own mix. Will try this one, sounds delicious.